If it’s your first time in Hong Kong, let these lights dazzle you. Known to outshine even the brightest stars, Christmas in Hong Kong is all about the lights and great harbour view. Go to Central Pier and take a Star Ferry to Tsim Sha Tsui and take in the lights on both sides. Stay till 8PM if you want to enjoy the Symphony of Lights Show as well! -Get off at the MTR Central Station or the Hong Kong Station, head towards Pier 7 at the Central Pier. -Take the Star Ferry to Tsim Sha Tsui and walk along the Avenue of Stars. Christmas Markets are the best place to enjoy a day with family and friends. 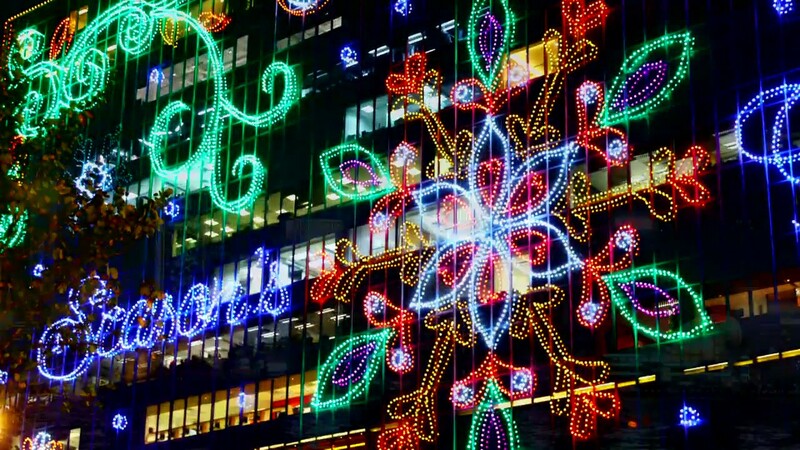 Take the time to stroll around the Stanley Plaza Finnish Christmas Wonders Market or the Sai Kung Christmas Market. Spend some time here to enjoy some culinary delights, pick a gift for friends and eager little cousins. – There is a free shuttle bus starting from Ocean Park MTR, Shau Kei Wan, and Aberdeen Station. – Take the Minibus 40 from Causeway Bay to Stanley. – Take the Minibus 101 at the MTR Hang Hau Station. Head to Disneyland for two days and spend a night there to enjoy the Christmas Disney magic that will turn you into an excited little kid again. You can also head to Ocean Park and say “Merry Christmas” to Pandas, Sharks, or Dolphins. Both theme parks are serious about their Christmas Trees, be sure to visit them and check if any of the presents are yours! – Take the MTR to the Disneyland Station. – Take the MTR to the Ocean Park Station or take the bus 99 from Causeway Bay to the Ocean Park stop. Hong Kong is known for being THE city to go to for the best food. A mixture of East and West, feast yourselves on the various delicacies available here from street food to Michelin-star restaurants this Christmas. Notably there are a few Christmas Special Buffets or Dinners available. Head to Peninsula for the great Christmas lights and signature afternoon tea, or Ritz Carlton for the Santa Jazz Band in their lounge. – Walk along the Avenue of Stars for 10 minutes after taking the Star Ferry. – Take the MTR to Tsim Sha Tsui Station and get there via Exit L3. – Take the MTR to Kowloon Station and take the Exit C1. Hong Kong is a great place for families to visit. 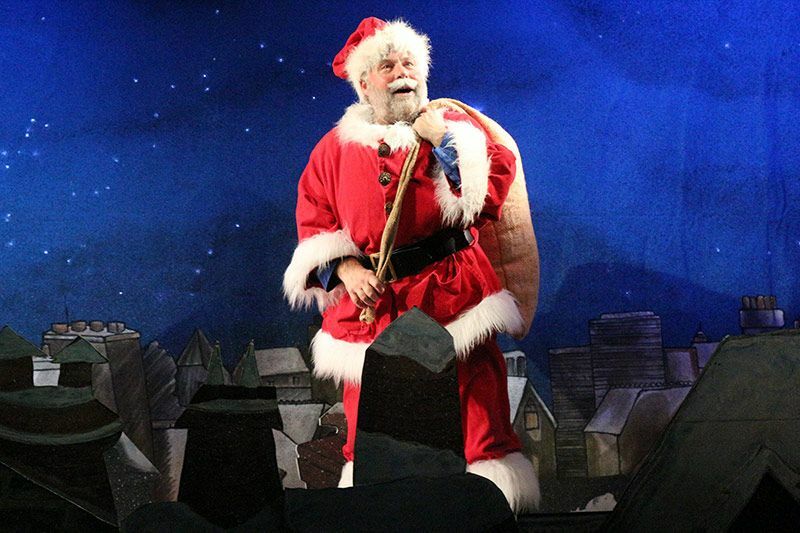 Enjoy a jolly Christmas with Santa in the show Father Christmas at the Hong Kong Academy for Performing Arts, or go for the Nutcracker performed by Hong Kong Ballet and the Hong Kong Sinfonietta. – Take the MTR to Wanchai Station and take the Exit C, it’s around a 10-minute brisk walk to the HKAPA. – Take a Star Ferry from Central Pier 7 and walk 2-minutes to the Cultural Centre. – Take the MTR to Tsim Sha Tsui Station and take the Exit L6. One big thing to do in Hong Kong is Shopping. Besides trying very hard to not shop till you drop, enjoy the exhibitions at Times Square or Lee Tung Avenue. The Exquisite Christmas Exhibition at Times Square features scenes from 1980s Hong Kong during Christmas by two local artists. Head to Lee Tung Avenue for a huge Christmas tree amongst colonial-styled buildings. – Take the MTR to Causeway Bay Station and take the Exit A. – Take the MTR to Wanchai Station and take the Exit D.
The annual AIA Carnival is great fun for tourists and locals alike. Pick your favourite carnival game and get your prize! 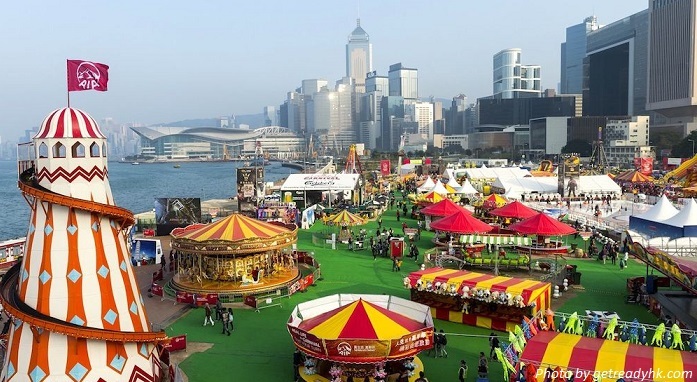 Enjoy the stalls and roller coaster rides here with a great view of the Central Harbourfront. Indulge yourself in the Christmas spirit here and stay for the evening to see the lights while you ride on a high speed roller coaster! -Take the MTR to Central Station or Hong Kong Station and head to the Central Harbourfront via bridge. -Take the Star Ferry to the Central Pier and walk to Central Harbourfront. Feel like hopping on a plane already? Stay with BlackDoors to make your trip to Hong Kong the best you’ve ever had with comfortable living spaces and hotel-like services at the most convenient locations.